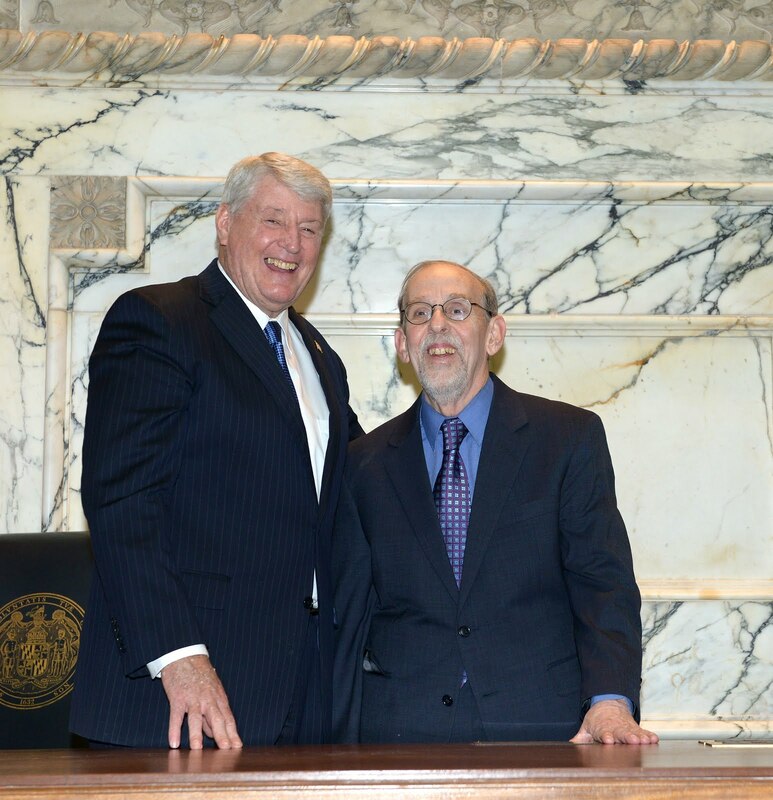 We have now completed the 2015 Legislative Session, and I want to give you a report on my first year as your state delegate and some of the accomplishments of this session. It was a learning year for me and my teammate, Delegate Diana Fennell, as we were introduced to the process in Annapolis and attempted to figure out how best to serve the constituents of District 47A. I am happy to be sharing an office with Delegate Fennell. It enables us to better coordinate our constituent services so we do not duplicate responses to constituent requests and make sure that we respond to every inquiry. I was lucky to hire Krystel Greene as my Chief of Staff because she had many years of experience working for former Delegates Jolene Ivey and Kris Valderrama. Her experience was invaluable, and allowed me to get up to speed faster than some of my other new colleagues. I was also able to hire on a part-time basis three interns, including one of my neighbors, Tyler Koopman, from Mount Rainier. Early in the session I was appointed to the Ways and Means Committee, whose subject material covers taxes, education, election law and gaming. I was also appointed to the Prince George’s County Delegation Committee on Community Affairs. The Prince George’s delegation works on bills that only impact our County. I also joined the Legislative Black Caucus and Women’s Caucus as an associate member. I did that because I support the issues that those caucuses are advocating for. As soon I got to Annapolis, I went to work drafting legislation that I had campaigned on; I introduced 10 bills and co-sponsored 100 others that I thought were worthy of support. Three of my bills passed the House and two passed the Senate and are waiting for the Governor’s signature. While some of my bills did not pass, I was able to learn how to work a bill and how to revise the legislation so it has a better chance of success next year. I believe I earned the respect of my colleagues by introducing legislation that raised serious issues for our community. Removing Double Poles – Double poles are duplicate utility poles that exist when the electric company puts in a new pole and the old pole is not taken out. There are thousands of these double poles in our neighborhoods; they are an eyesore and, in some cases, hazardous. I worked with Delegate Charles Barkley on a bill that would make the electric company coordinate with the other utilities to remove the poles. The final version of the bill mandated the Public Service to come up with recommendations on how to regulate the bills and remove the poles in a timely fashion. This bill passed both houses and is awaiting the Governor’s signature. Tax Differential Report – Tax differentials are the amount that residents in municipalities have their county tax reduced because their local government performs some functions that the County would otherwise perform, such as policing or trash pickup. The tax differential rate in each municipality is different, but there is no report that explains why the rates are different and what services are performed in each city. This bill would mandate that Prince George’s County issue such a report so the municipalities can make better informed decisions on what services are best for the residents in their towns. It passed both houses and is awaiting the Governor’s signature. Stopping the Revolving Door – I believe there is too much coziness between the lobbyists who work for large companies and people in the state legislature. It makes it harder for the regular person to have influence in government. Currently, someone can go directly from working in the governor’s office to a lobbying job in Annapolis, bringing along cozy relationships with legislators and former colleagues. My bill mandates a one year cooling-off period for anyone who works for the Governor in matters dealing with legislation, before becoming a lobbyist. This bill passed the House but did not make it through the Senate. Senior Volunteer Corps – One of my constituents, Rose Fituwi, made a great suggestion: that we tap into the retirement community in forming a cadre of volunteers who could help some of the local jurisdictions with some of their services. My bill would create a Senior Volunteer Corps in the Governor’s office which would facilitate connecting seniors interested in volunteering with local governments in need of assistance. The Governor’s office of Aging said they would create a work group to accomplish the objectives of my bill, so I withdrew my bill to let them do their work. Bond Bills – Our 47th legislative team was also able to get small grants for the towns of Landover Hills and Colmar Manor and for Elizabeth Seton High School. Unfortunately on the last day of the session, Governor Hogan has threatened to not spend some of the money ear-marked for schools, pay raises, and Medicaid reimbursements. He has the right not to spend some of the money but we all hope he does the right thing and spends the money that has been appropriated. Moratorium on Fracking – We passed a 2 ½ year moratorium on fracking in Maryland. 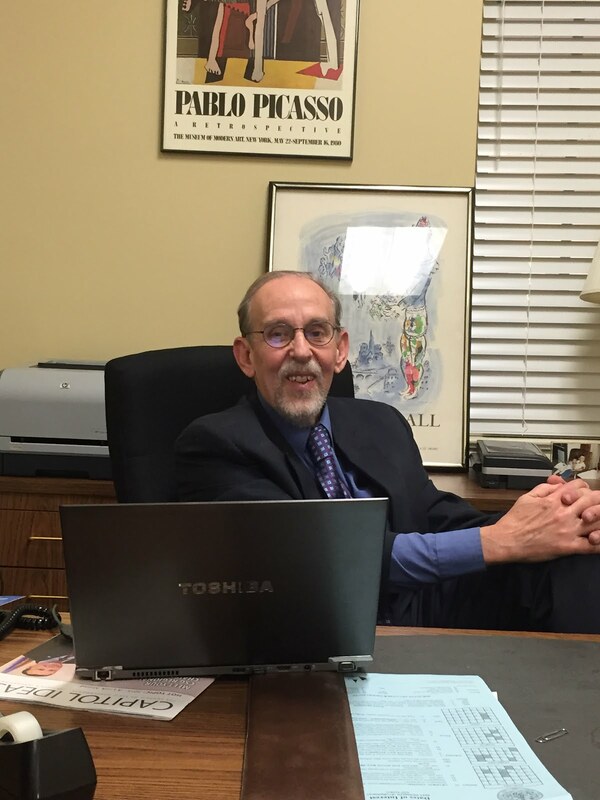 Expungement of Record If Offense Is No Longer a Crime – This bill expands eligibility for expungements to persons convicted of a crime that is no longer a crime (e.g., possession of small amounts of marijuana, which is now a civil, not criminal, offense). Tax Credit for Veterans over 65 – Makes the first $10,000 of a veteran’s military pension exempt from Maryland taxes. Tax Amnesty Program – Mandates a tax amnesty period for delinquent taxpayers from September 1, 2015, through October 30, 2015, waiving civil penalties and reducing interest for nonpayment, non-reporting, or underreporting by half. Storm Water Management (“Rain Tax”) – Amends the stormwater management law. The new version improves upon Maryland's 2012 polluted runoff law in two ways: It provides counties with more flexibility on how to pay for much-needed clean water projects by removing a state mandate on fees; and it strengthens fiscal accountability and transparency by requiring an annual program and progress reports to ensure Clean Water Act responsibilities are being met and local waters are getting cleaner. MD 2nd Chance Act – Shields records for non-violent crimes that are over 5 years old from view by employers and similar persons. Voting Rights for Former Prisoners – Allows people to vote who are out of prison to but still on parole. Seven-Day Liquor Store Sales in Prince George’s County – The bill establishes a special Sunday permit for liquor stores in Prince George's County and establishes a $450 fee for the permit. Body Camera Legislation – Bill introduced by Senator Ramirez allows police to use body cameras. Maryland Licensure of Direct-Entry Midwives Act – Expands the right of midwives to provide the necessary supervision, care, and advice to a patient during a low-risk pregnancy, labor, delivery, and postpartum period and newborn care. Charter Reform – Updates the current law giving charter schools more flexibility but not undermining the ability of teachers to stay in their union, and keeps charter schools under the supervision of the local school board. Community Solar Energy Generating System Program – Establishes a program on community solar energy generating systems under the authority of the Public Service Commission. Repeal of Mandatory Minimum Sentences for Second-Time Offenders – Repeals specified mandatory minimum penalties and imposes specified maximum penalties for repeat offenders of specified crimes generally involving the manufacture, sale, and distribution of controlled dangerous substances. It allows the judge to make the determination on the length of the sentence. protocol be followed before placing a vessel in a lake. Parole and Probation - Revocation Prohibited for Violation of Civil Penalty – Provides that a person may not be sanctioned for a violation of a condition of probation or parole for the sole reason of receiving a citation for the commission of a non-jailable civil offense. wellness advocacy specifically, and student leadership, more generally. Although the session is ending, I am your delegate year round. If you want to know any more about my activities as your State Delegate, please go to www.jimmytarlau.org or send me an email at jtarlau@gmail.com. I am grateful to the people of the District 47A to have given me the opportunity to be your representative and I look forward to serving you as your delegate for the next 3 years.